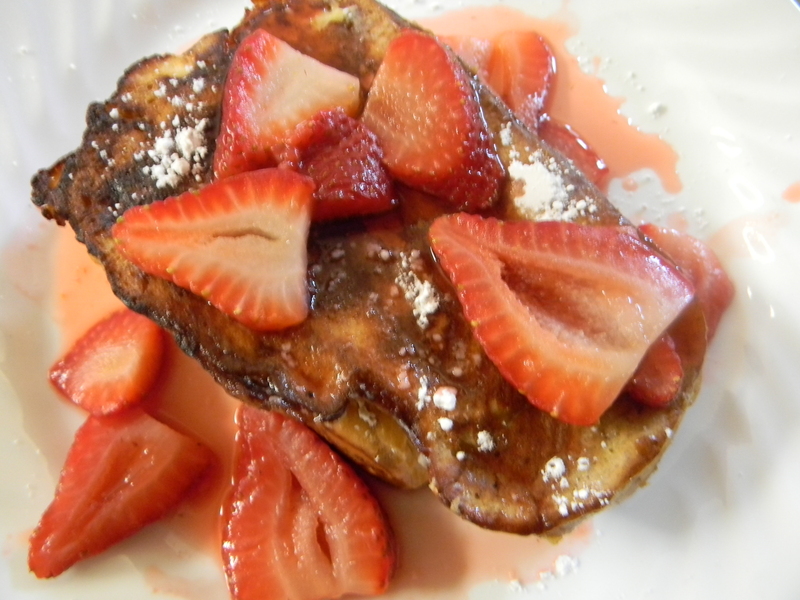 Wait until you try this French toast! The orange compliments the strawberry so well and the strawberries smell heavenly as they are reducing. 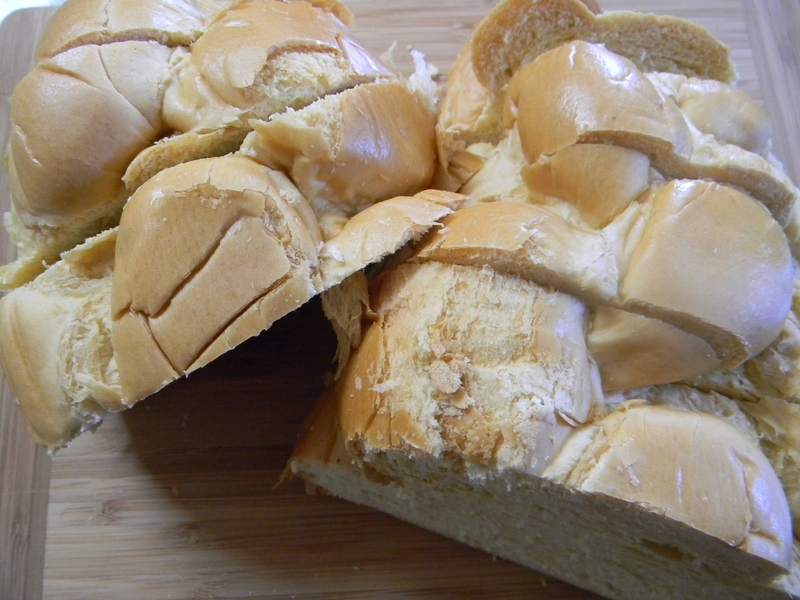 Challah is a sweet and soft Jewish bread. If you can’t find Challah, you can use a similar bread (check your grocers bakery section). Also, you can omit the orange liquer and substitute it with orange extract or more orange juice if you’d like. 1.) 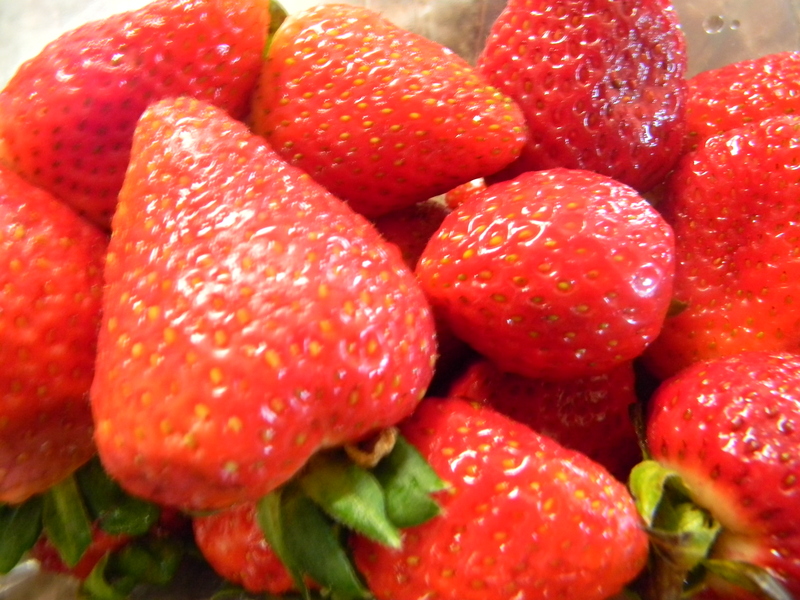 In a medium bowl, combine strawberries, orange juice, orange zest, orange liquer, and 3 tablespoons sugar. Set aside to let macerate. 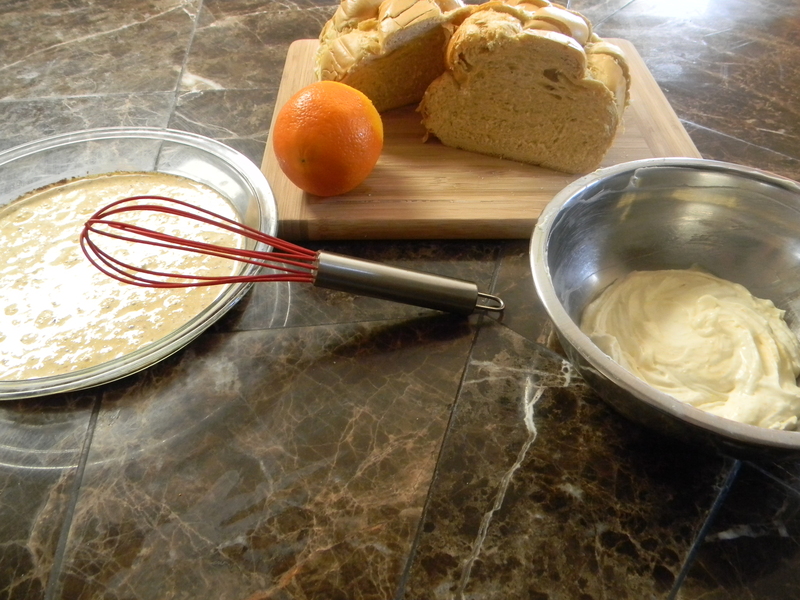 In another medium bowl, combine cream cheese, orange zest, orange marmalade and 2 teaspoons sugar and set aside. In a large, shallow dish (like a pie plate), combine eggs, cream, 2 teaspoons sugar, vanilla extract, and cinnamon. Set aside. 2.) With a knife, slice a large slit in the flat side of the challah for the stuffing. 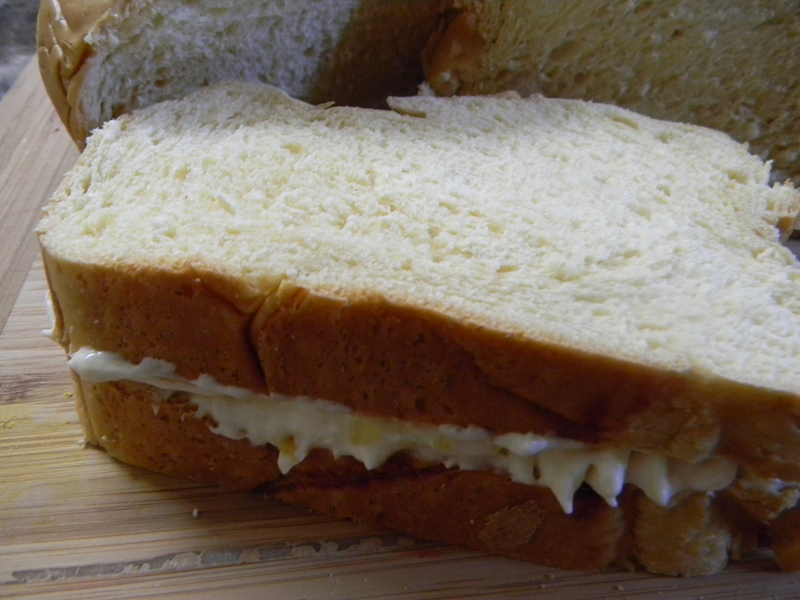 Stuff each piece of toast with a quarter of the cream cheese filling. 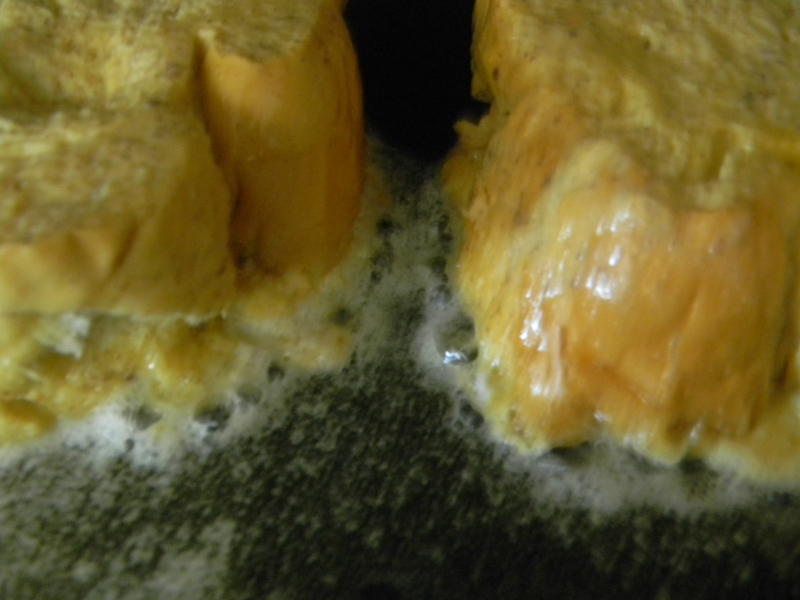 Heat a griddle or large saute pan over medium heat and melt 1 tablespoon butter (do not let butter brown). 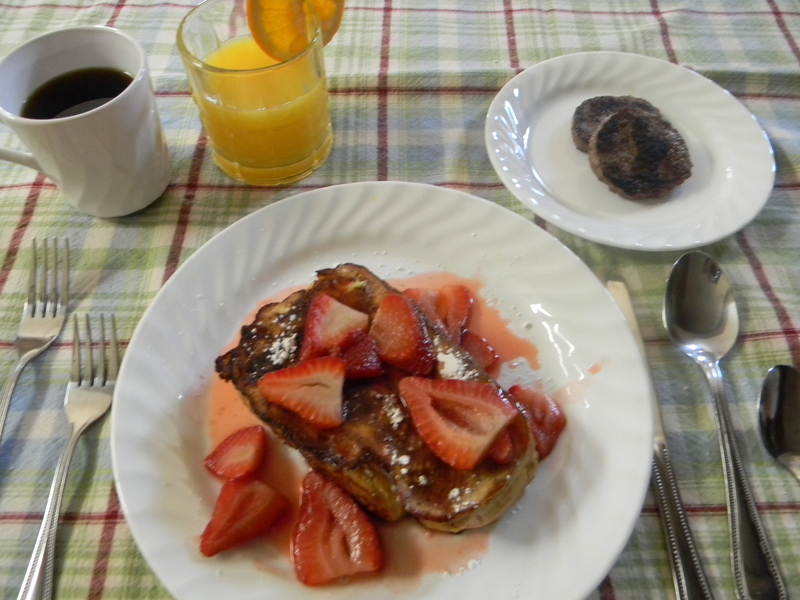 Dip each side of the French toast in the egg mixture and place 2 slices on griddle. Cook for 2-4 minutes on each side until golden brown. Cook the ends of each slice for about 30 seconds each as well to cook any egg mixture. Remove slices to serving plate and repeat with last two slices. 3.) In a medium saute pan over medium heat add strawberries. Let come to a boil and cook for 2-3 minutes until slightly softened and a little alcohol cooks off. Spoon mixture over French toast slices. Dust with powdered sugar.